Three days after I discovered Cherry Glazerr, a grunge-y indie-rock trio led by 22-year-old Clementine Creevy (what a name, right? 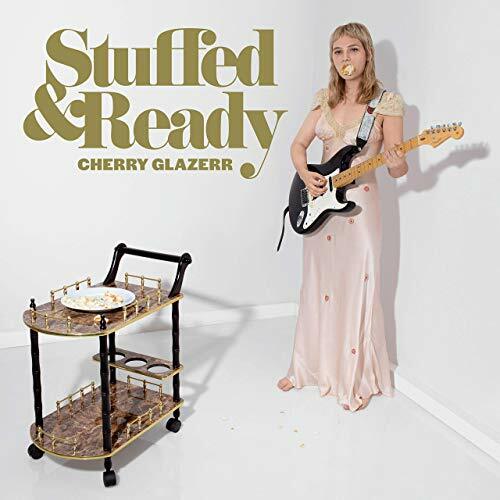 ), they gifted me with the release of their fourth album Stuffed & Ready. Polished and introspective, their newest tracks start to chip away at some intense feelings while still channeling the sounds of their 2017 album Apocalipstick. As a whole, Stuffed & Ready gives voice to inner thoughts marked by desire, confusion and a profound feeling of loneliness. The first song on the album, “Ohio” features lines like “the light inside my head went dead, I turned off” and “I’m full of the bad, bad problems, so just take me away.” This track definitely sets the vibe for the rest of Stuffed & Ready, with “Self Explained,” “Isolation” and “Pieces” following suit. Listening to their newest release right after binging Apocalipstick sheds light on the evolution of both Creevy’s person and lyrical abilities. In Cherry’s 2017 album, Creevy’s “f*ck the patriarchy” mentality takes the main stage with tracks like “Told you I’d be With the Guys” and “Trash People.” With sassy and brazen lyrics, these songs almost contrast Stuffed & Ready’s “Stupid Fish” and “Daddi.” In the former, she discusses “giving up control … setting that aside,” while contemplating handing power over to a man in the latter. The farther you go back, the more poignant Creevy’s present lyrics become in comparison to her playful past — her first popular song on SoundCloud is about a grilled cheese sandwich. Although currents of heightened self-reflection run through the album in its entirety, that does not mean that every listen has to be fraught with deep thought. The lyrics tend to melt into Creevy’s sharp vocals and guitar riffs, making it easy to blast “Wasted Nun,” “That’s Not My Real Life” and “Juicy Socks” with reckless abandon. With “Distressor” as the last track on Stuffed & Ready, the album rounds out its representation of Creevy’s personal exploration. The verse “shut out the noise so I can just be” stands out in showing the way that she approached writing this album — an intimate production of her own confusion and anger about the world. Ultimately, Stuffed & Ready is both a quality musical production and a snapshot of a young woman trying to navigate her place in the world.